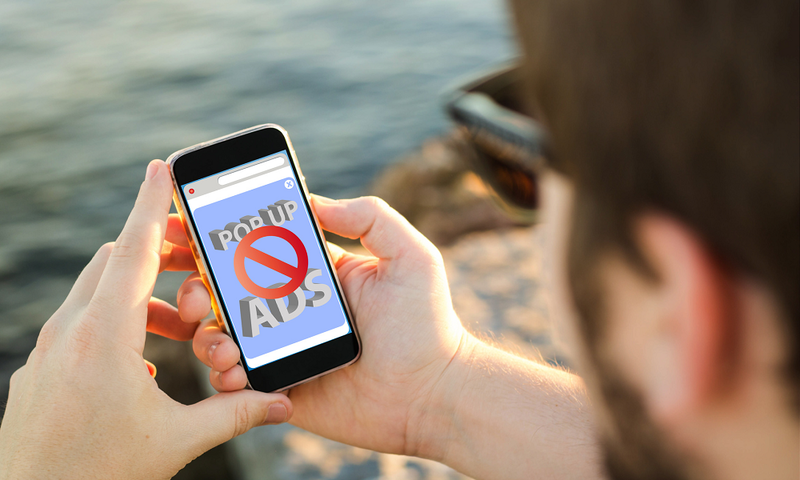 If you tired to the pop ads on your android device, then check out these working solutions to stop pop up ads on the Android phone. Sometime we have tired Internet surfing to the Pop up Ads appears in my Smartphone screen. 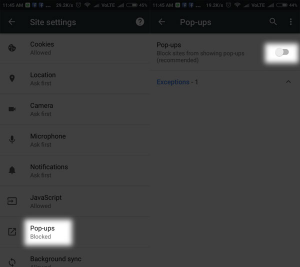 Whatever browse to open directly to Pop Up will appear, in this situation we can find out some solution to block or stop pop up ads on Android device. Normally, we all regularly download free stuff from the website. But, every person won’t aware that someone else is paying them to show up ads on the website while we download free apps, music, and videos. That’s dealing. Some ads are not just of rocks, but they can do chill your device and obsessive more data. 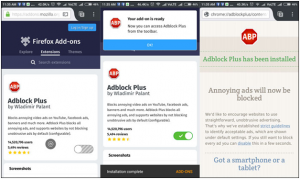 by chance, some Android devices are built-in ways to ignore this startling ad and here I am going to show you some working ways to block pop up adds on Android device. Let’s, first start with the usually used Android browser-Google Chrome. 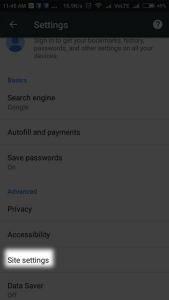 Here’s the step-by-step process to stop pop up ads in Google Chrome on Android mobile. Step #1. 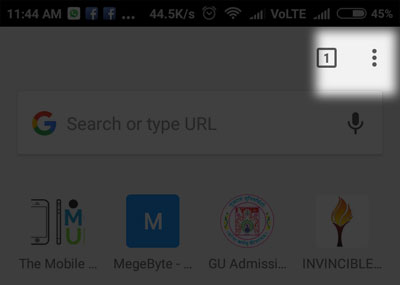 Launch the Google Chrome on your Android phone. Step #2. Tap on three vertical dots at the top right corner. Step #4. 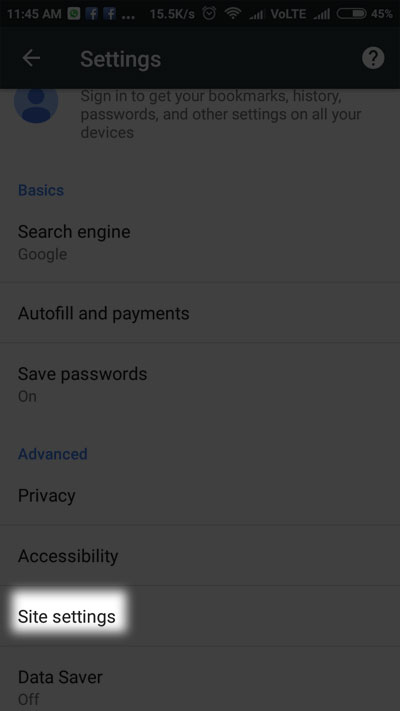 Scroll down to Site Settings and tap on it. Step #5. Now, tap on Pop-ups and then turn off pop-up ads by toggling Pop-ups. 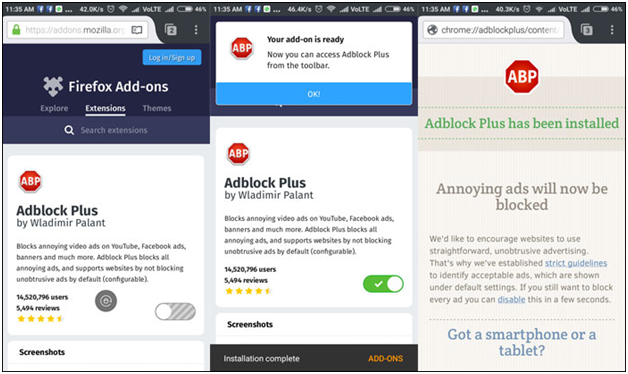 The Ad-block browser is one of the most well-organized to stop disturbing pop-ups, annoying video ads and much more. 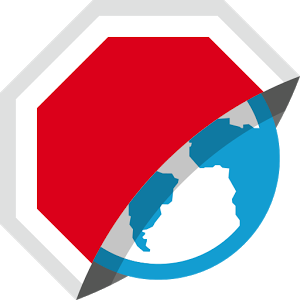 This ad-blocker was first available for the desktop browser and then come to Android. It is one of the trusted Ad-blocker in the world with more than 400 million users. You can simply use it with its smart tab performance, smoother scrolling, easy to use the keyboard and more features. You can free download the Adblock Browser from Google Play. This technique works for both rooted and non-rooted android devices. 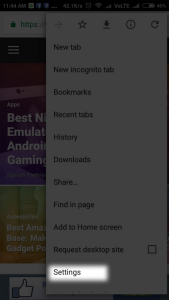 If you are not using Firefox then I suggest you download the Firefox app on your Android phone from Google Play Store. After installing it, then click here and toggle to add the Adblock Plus extension on your browser. Now restart Firefox again and you can see more options of Adblock Plus in the Menu → Adblock Plus. 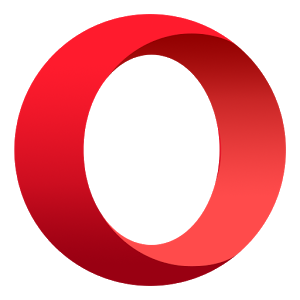 Opera browser is one of the easiest methods to stop ads while using internet browser on Android phone. Well, the Opera browser is personally designed to block useless and irrelevant ads on your Android browser. It is available free download from Google Play. Unfortunately, the browser is the no enhanced option if you are used to using the Google Chrome. But, it would be the final option to block pop up ads on your Android Smartphone. WebGuard is the free download app which is specially developed for protecting your device from viruses, observation, dangerous site, and ads. It will block every pop-up and video ad while browsing the internet. It is one of the best firewalls that increase your obscurity as well by hiding your real IP. It will also encrypt data from shield when using an open network. The app will prepared you when you are about to use paid apps. Well, these are the answers of your “How to block pop up ads on Android”. We hope that these may have helped you to get clear of pop up ads on your phone. If you any special suggestions regarding the topic then let me know in the comments.